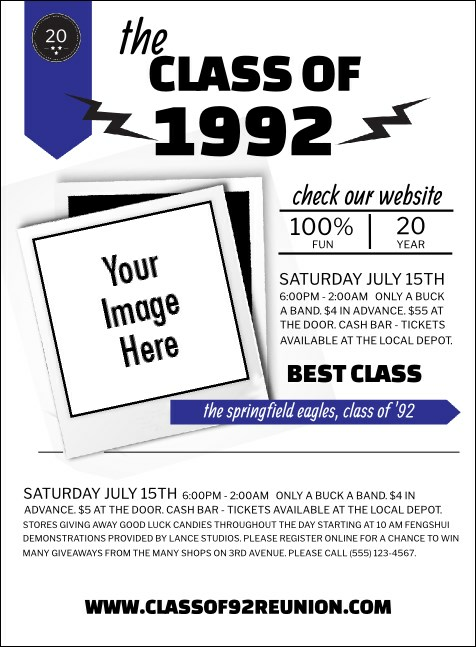 Celebrate the anniversary of your graduation with great ticket sales when you print Class Reunion Mascot Blue Invitations and send them out to your former classmates in advance. Each Invitation features a blue and white background with room for one unique image upload so you can customize them just how you like. TicketPrinting.com’s blue Invitations will help you see more green!